This is the third and final installment of a series that has followed seventeenth century French tourist Jean de Thévenot from Europe to the Levant and then into Syria. Now he travels to India. We have specifically looked into his diary with an eye toward passages that mention glass or glassmaking. 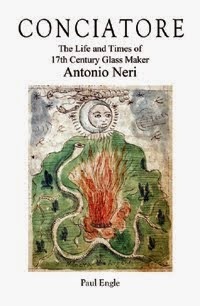 While our intrepid traveler had no special connection to this art, he did possess a keen, inquisitive mind; collectively, his observations about glass give us a glimpse into the state of affairs in the Middle and Far East in the mid 1600s.